NIE Called Walk-in Interview for Recruiting 11 vacancies of Scientist-C, Technical Officer Jobs. The Interview will be held on 08th, 22nd, 23rd, 24th, 25th, 26th & 29th Apr 2019 at the venue mentioned below. All qualified, as well as Interested prospects, can attend this Walk-in. Additional Detailed Info Pertaining to Educational Qualifications, Age Restriction, Selection Procedure, Test Pattern, Syllabus for National Institute of Epidemiology (NIE) Recruitment 2019 Scientist-C, Technical Officer Exam shown in this article is pointed out below. 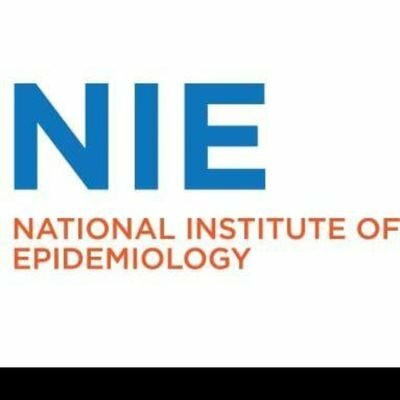 NIE Recruitment 2019 – Walk in for Scientist-C, Technical Officer Posts in National Institute of Epidemiology. Candidates are invited by National Institute of Epidemiology (NIE) to attend walk-in-interview to be held on 08th, 22nd, 23rd, 24th, 25th, 26th & 29th Apr 2019 for 11 vacancies. Contenders those willing to attend for the interview must pass 10+2, DNB, ANM, Bachelor’s Degree, Diploma, MBBS, MD, Post Graduate, MPH, M.Sc, PhD from Registered Board/Organization. Applicants Age should be between 25-40 years. Check Age Relaxation Details from Official Notification. Those selected for this NIE Recruitment will get pay Scale of Rs.17,000/- to Rs.64000/- per month. Job Seekers who fulfill all the eligibility conditions and desired to apply against NIE Scientist-C, Technical Officer notification may attend for walk-in interview along with their original documents, one set of self-attested photocopies to prove their educational qualification including attempt certificate, age etc. Check Interview Venue, Date & Time which are mentioned below.